Conservative North Carolina lawmakers have pushed through a lot of radical laws and legislative proposals to dramatically remake our state in recent years. From suppressing the vote to gerrymandering legislative districts to privatizing our public schools to enacting the infamous HB2 to altering the balance of power between the executive and legislative branches: the list is a long and troubling one. Happily, many of these ideas have been struck down by state and federal courts. 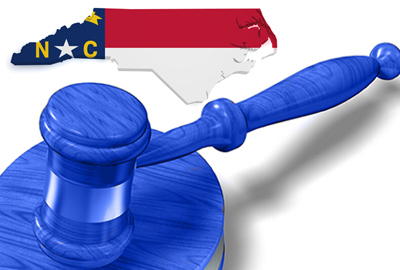 On at least 12 separate occasions since 2011, state and federal judges have put a stop to illegal and unconstitutional laws adopted by the North Carolina General Assembly. Unfortunately, rather than rethinking or altering their radical approach to governance, conservative politicians now want to dramatically alter the state courts and empanel a different set of judges to review the laws they enact. Their plan: to take away North Carolinians’ right to elect state judges, seize the power for themselves and reshape and intimidate the judiciary in order to make it more amenable to their agenda. Making it harder for you to choose your judges – In October, the General Assembly passed the “Electoral Freedom Act,” which cancelled all judicial elections in the May 2018 primary. Without judicial primaries, we will have many candidates on the ballot for each seat in November. This will create long ballots and long lines, and it will make it difficult for voters to make informed choices. Gerrymandering the voting districts for judges and district attorneys – House Bill 717, a bill crafted in secret that would seriously skew judicial voting districts, passed the North Carolina House in October. A public outcry arose when it was introduced because none of the people working in the court system had been consulted before the new maps were drawn. In a July 2017 survey of Chief Superior Court and District Court judges, 33 of the 43 respondents foresaw that HB 717 would negatively impact their ability to provide justice in their districts. They raised concerns about increased travel time and costs, increased workloads, decreased availability of judges during nighttime emergencies, and a possible loss of public confidence in the courts. The NC Association of District Court Judges, the NC Conference of Superior Court Judges, the NC Bar Association and the NC Courts Commission all came out against HB 717 because they objected to the exclusive, secret, unfair, and rushed process that was used to design this bill. Forcing judges into constant campaign mode – Senate Bill 698 includes a constitutional amendment that would cut all judges’ terms to two years. Appellate judges and Superior Court judges currently serve eight-year terms and District Court judges serve four-year terms. An array of experts, including current Supreme Court Chief Justice Mark Martin and retired Supreme Court Justice Bob Orr (both Republicans) and Governor Roy Cooper have spoken out forcefully against this bill, which would force judges to campaign and fundraise constantly. The ultimate goal: Altering our constitution – All indications are that lawmakers—particularly in the state Senate – hope to advance a “merit selection” plan for picking judges in which the legislature would play a new and central role. This would require a constitutional amendment in which voters would surrender their right to vote for judges in a referendum. The proposed plan would end judicial elections and, in effect, allow the politicians to choose judges that would review their illegitimate laws. Happily, however, this radical upending of our state court system, our state constitution, the balance of power in our government, and the elimination of our precious right to vote for our judges, can only occur if we the people allow it to happen. Tomorrow (Wednesday, January 10) lawmakers will return to Raleigh for their latest special legislative session and hundreds of average citizens will be there to greet them and to push back against these schemes. To learn more about these efforts and find out what you can do to stand up for an independent judiciary, visit: https://democracync.org/faircourts/. 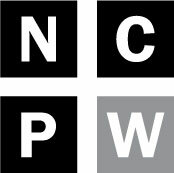 If you cannot be in Raleigh on January 10, please check out the petition at http://faircourtsnc.com and find ways to speak up in defense of North Carolina’s precious independent judicial system. This is a fight caring and thinking North Carolinians simply can’t afford to lose. Susan B. McClanahan is a retired teacher and long-time North Carolina resident who attended many legislative committee meetings in 2017.